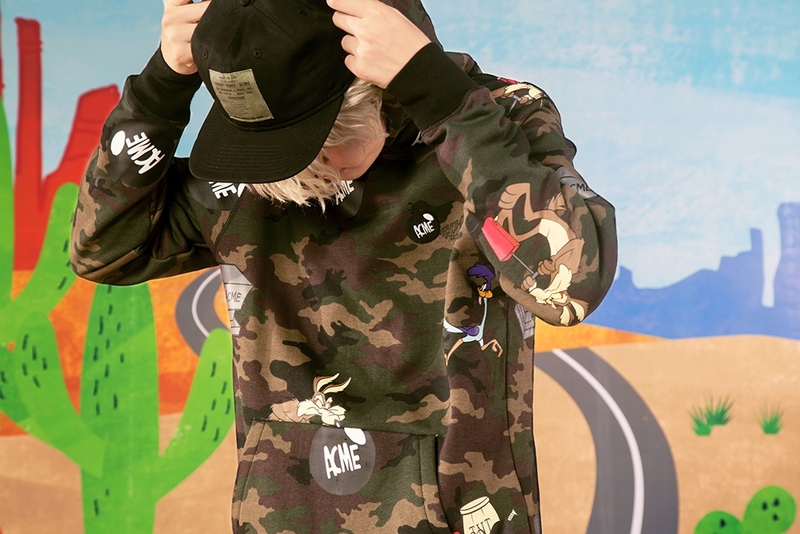 The Hundreds X Looney Tunes ACME collaboration is on the way to Main Source. 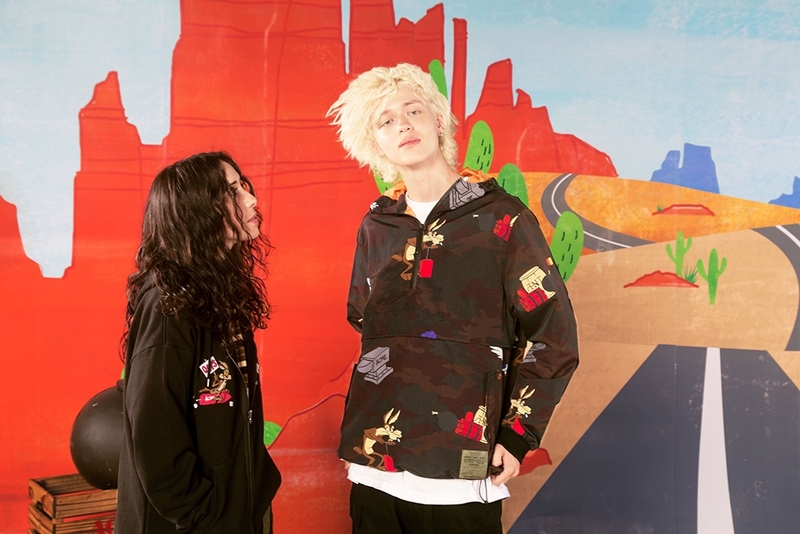 This collaboration has been making headlines and holds a lot of nastalgia for customers of The Hundreds. 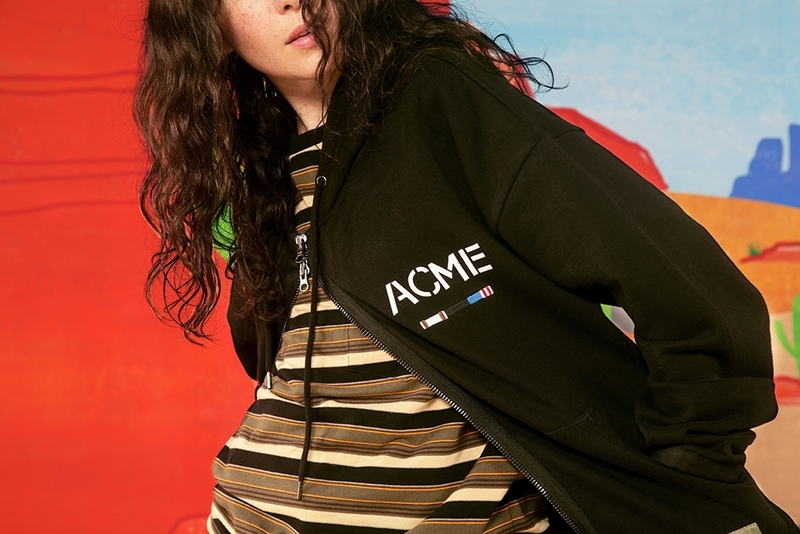 The ACME Corporation is arguably one of the most important “characters” in Looney Tunes’ history. 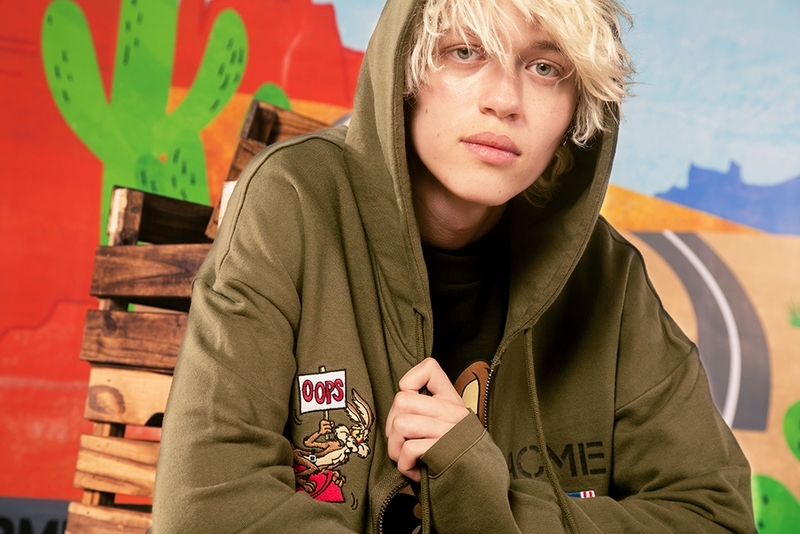 The brand's products and contraptions always seemed to catastrophically backfire, punctuating the animated series' slapstick humor. 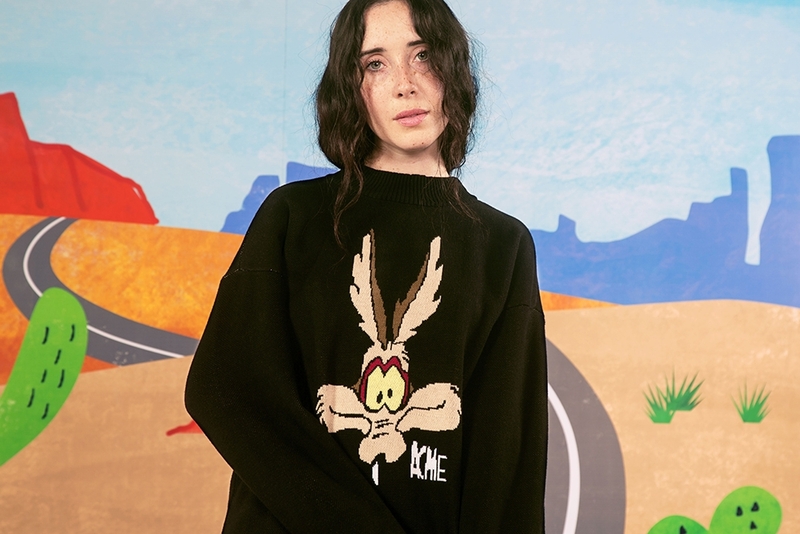 The fictional company seemed to produce every product imaginable to aid Wile E. Coyote in his endless pursuit of the Road Runner. 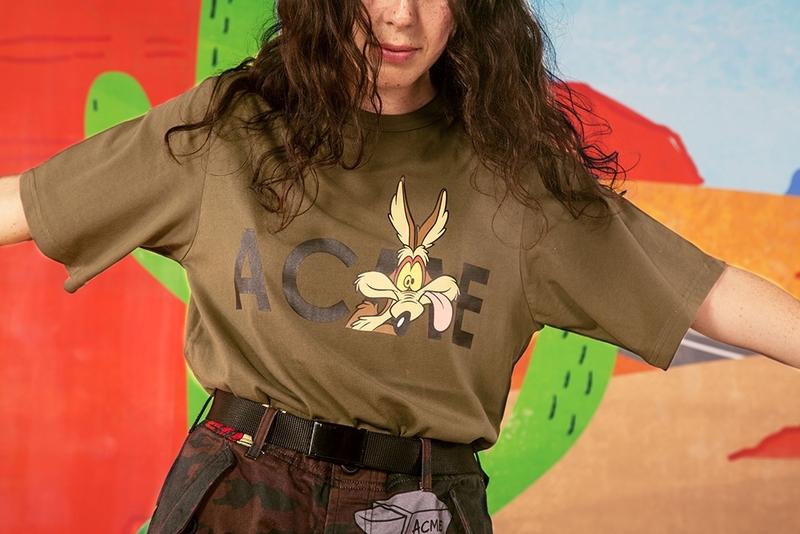 You could always count on an ACME product to fail—and in that way they were always reliable. 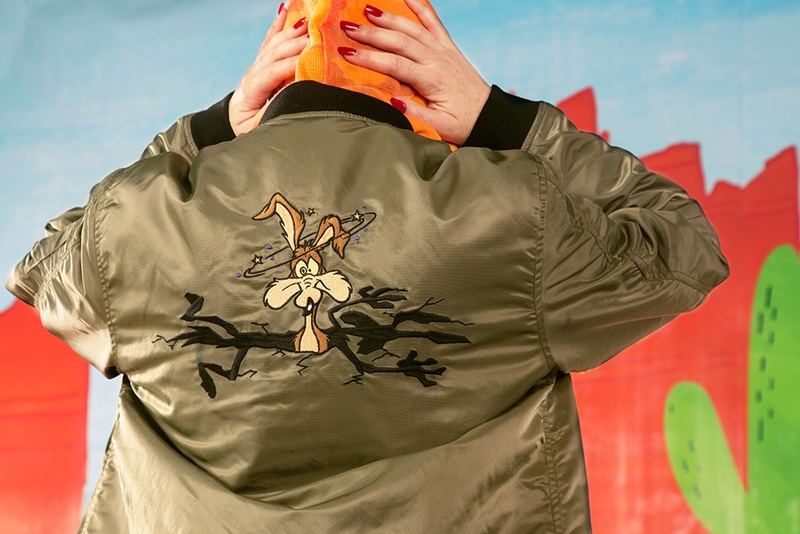 The Hundreds x Looney Tunes ACME Collection is a military-themed line inspired by Wile E. Coyote’s storylines. 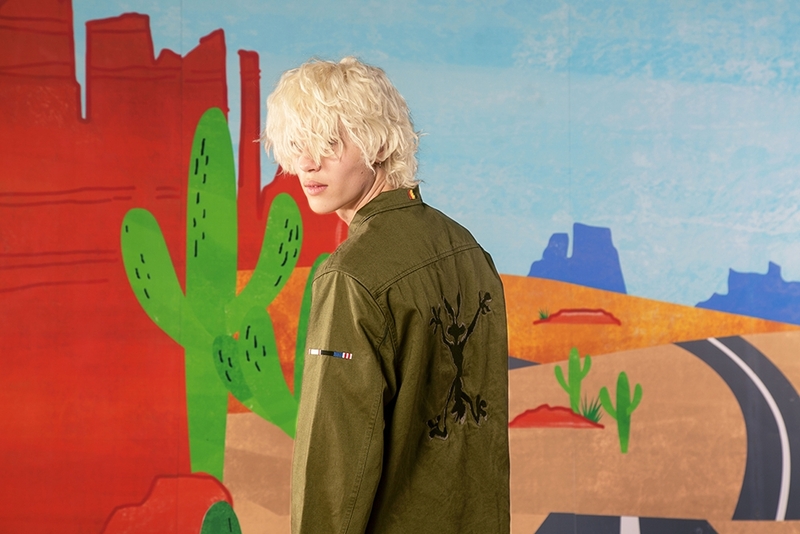 The assortment features military silhouettes, done in upgraded fabrics and refined fits. 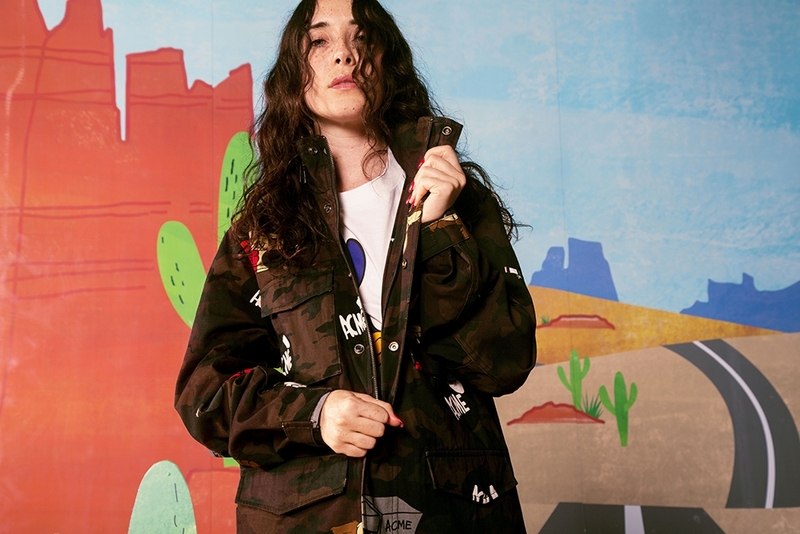 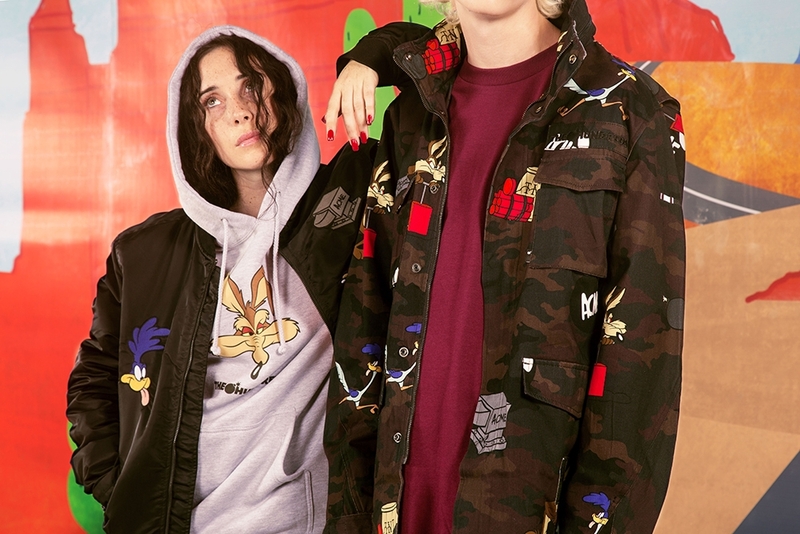 These include an updated The Hundreds’ classic "Perfect Camo" print in deeper, darker tones in some of the collection pieces, a new custom allover print of Looney Tunes characters, and a cartoonishly' 90s inspired "Head" sweater. 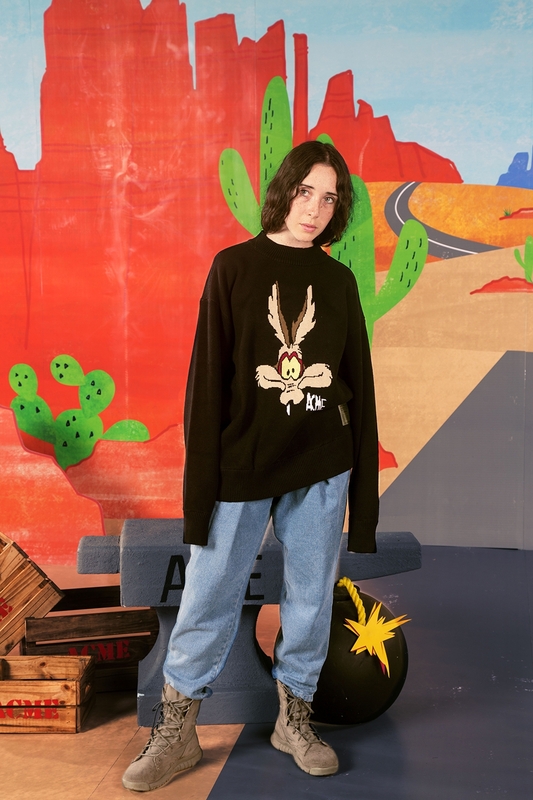 Accessories include The Hundreds x Looney Tunes rug and a set of socks with Wile E. Coyote on one foot and Road Runner on the other. 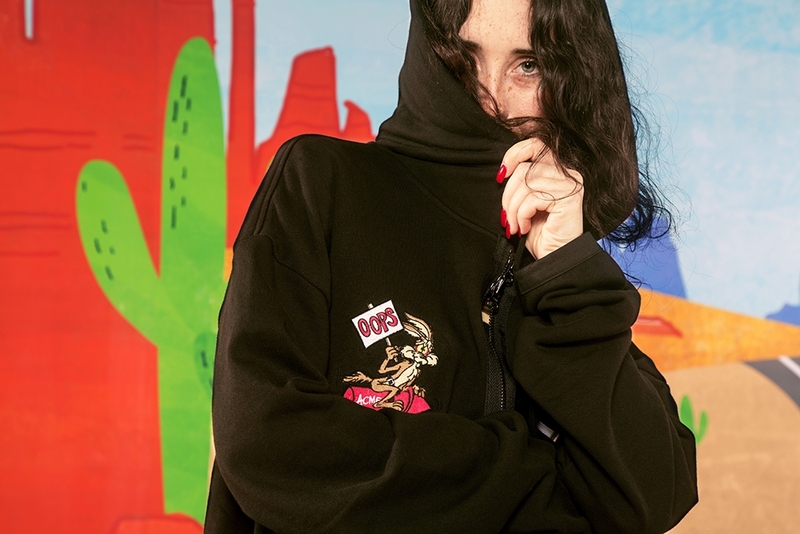 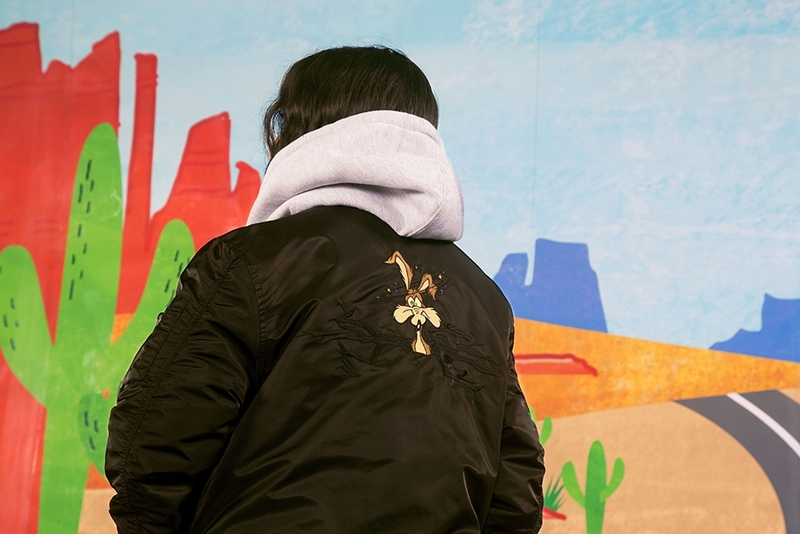 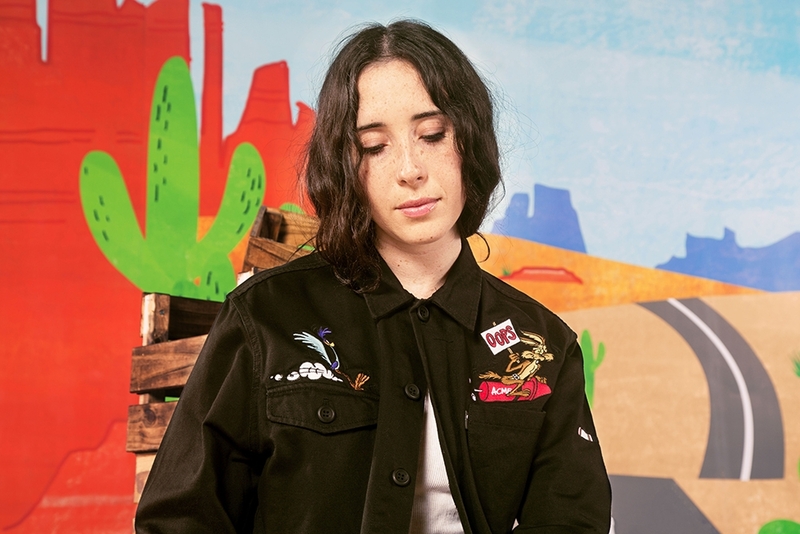 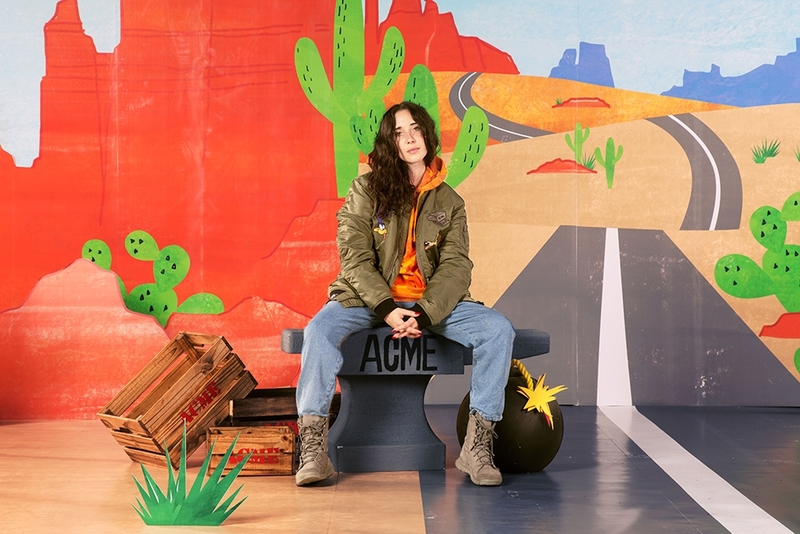 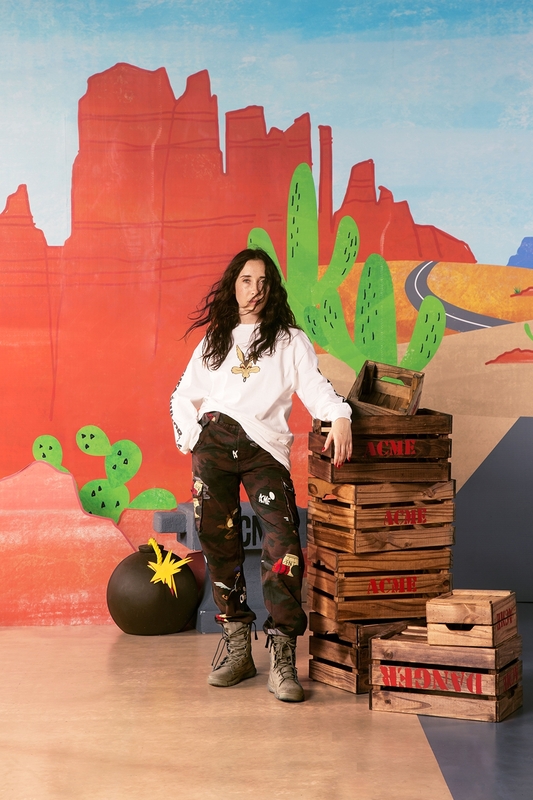 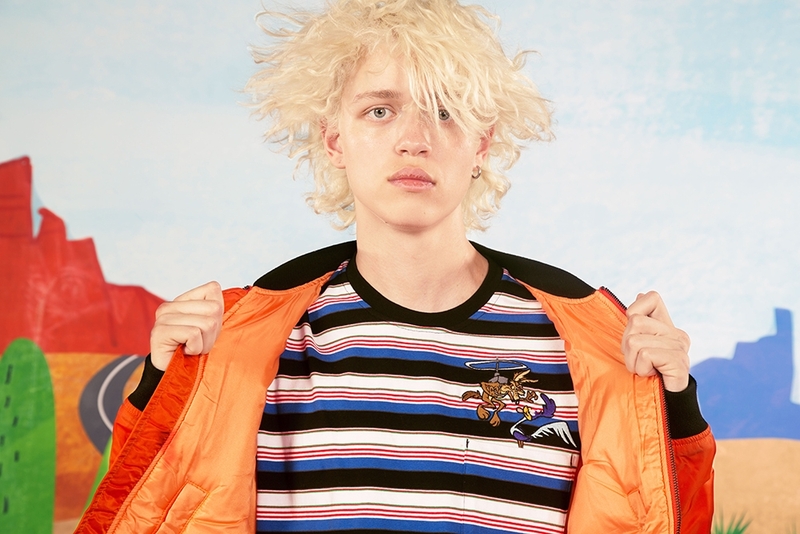 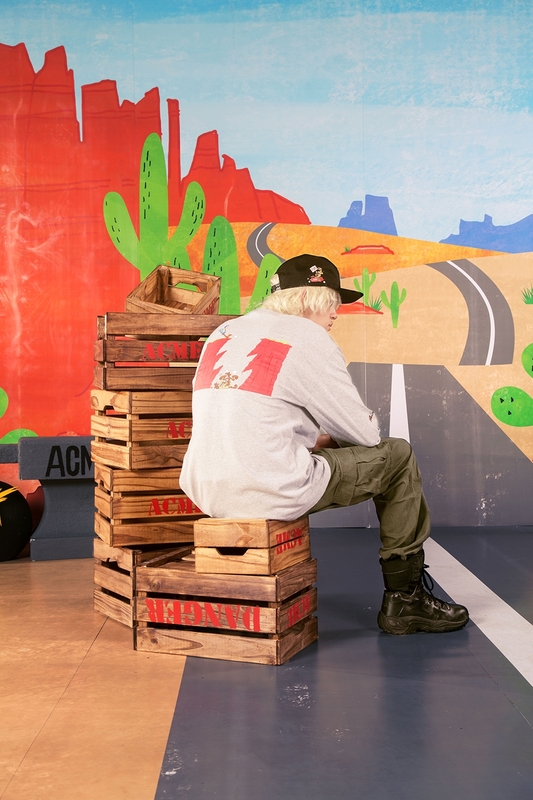 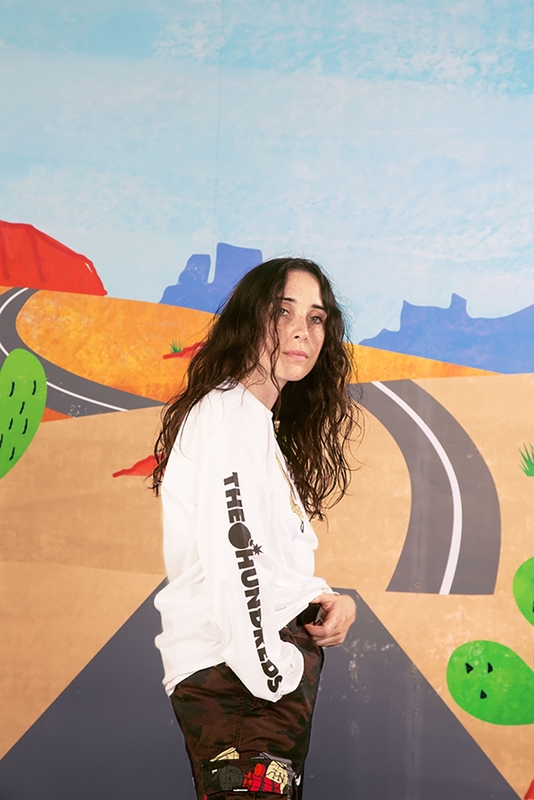 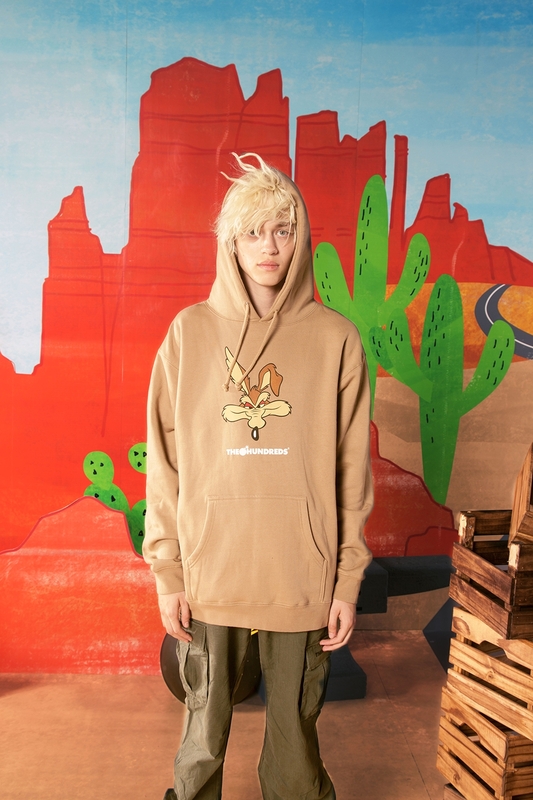 The Hundreds designers also incorporated 70s style artwork and embellishment placements throughout the collection’s garments to convey Wile E. Coyote’s ongoing pursuit of Road Runner using ACME branded products. 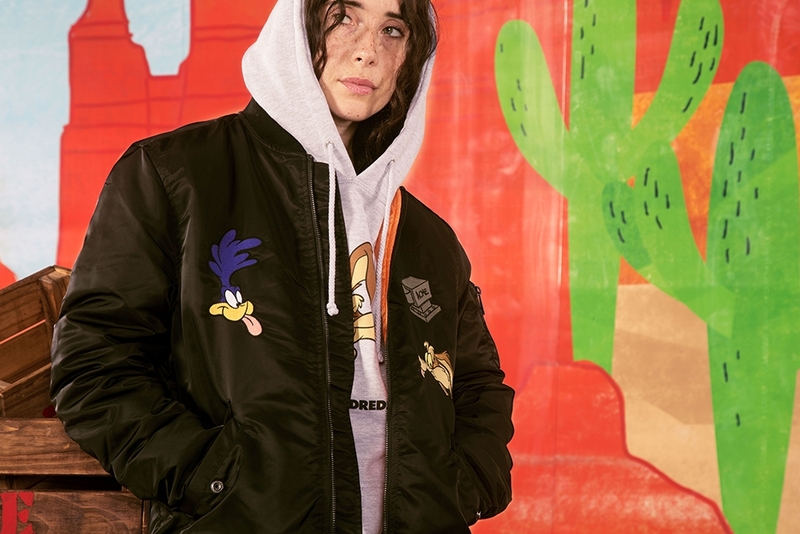 The collection will be available in store and online from the 20th September 2018, so come down and check out The Hundreds X Looney Tunes ACME collaboration!